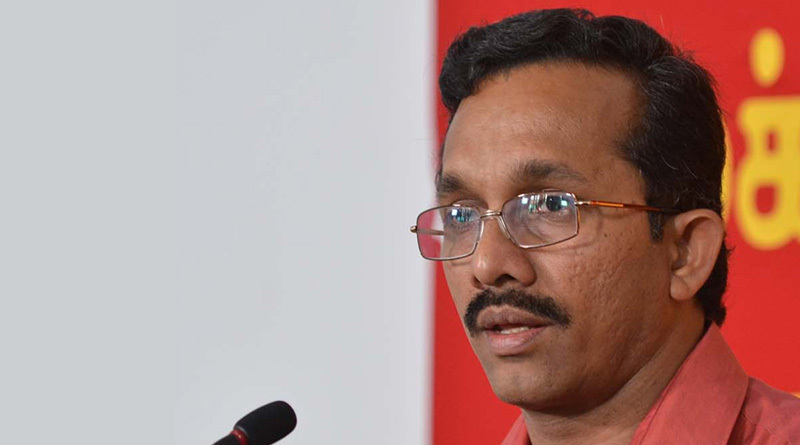 JVP MP Sunil Handunnetti was appointed the Chairman of Committee on Public Enterprises (COPE) for the third time by unanimous decision. Handunneti was appointed the Chairman when the new Committee met at the Parliament complex today for the first time. The new COPE was appointed on January 11, as the previous committee stood dissolved following the prorogation of Parliament on October 27, 2018 by the President. The other 15 members of the COPE include Rauff Hakeem, Sujeewa Senasinghe, Dr Harsha de Silva, Ajith P Perera, Wasantha Aluvihare, Ranjan Ramanayake, Ashok Abeysinghe, Anura Priyadarshana Yapa, Lakshman Seneviratne, Chandrasiri Gajadheera, Mahindananada Aluthgamage, Dayasiri Jayasekera, Ravindra Samaraweera, Mavai Senathiraja, and Jayantha Samaraweera. Handunnetti was first appointed the COPE Chairman in 2015 was re-appointed in April 2017. Impartial investigations by the Parliamentary watchdog committee under his leadership earned admiration by both the Government and Opposition MPs. Handunnetti speaking in Parliament yesterday thanked for re-appointing him the COPE Chairman unanimously. He also highlighted the need to take follow up actions on the recommendations of the COPE reports. The MP, observing that the Bribery Commission conducted an investigation into the Bond scam parallel to the COPE, questioned its outcome. He said that some officers who gave evidence before the COPE said that they gave extensive details related to the Bond scam to the Bribery Commission.